Daniel received his Bachelor of Arts in Crime, Law and Justice from the Pennsylvania State University in 2000. Upon graduation from college, he immediately pursued his legal studies at Roger Williams University and attained his Juris Doctor Degree in 2003. Daniel was admitted to the practice of law in the State of New Jersey and the United States District Court for the District of New Jersey in 2003. He was admitted to practice in the State of New York in 2004. 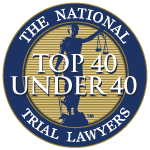 He is currently an active member of the New Jersey Association for Justice, Middlesex County Bar Association and Middlesex County Trial Lawyers Association. Daniel’s legal career began during law school when he represented indigent clients in divorce and matrimonial proceedings through his law school’s Family Law Clinic. 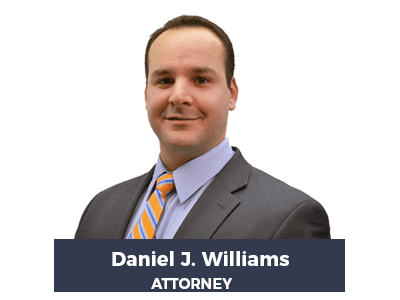 Prior to becoming a founding member of the Law Firm of Harrell, Smith and Williams, Daniel clerked for prestigious insurance defense firm located in Monmouth County New Jersey. After serving several month as a clerk, Daniel was then hired as a full trial lawyer responsible for handling all aspects of defense litigation, including dealing closely with the insurance company, conducting discovery on their behalf, settling cases and trying cases in court before a judge and a jury. The knowledge, insight and experience Daniel gained while representing personal injury defendants give him the unparalleled advantage of understanding how insurance companies operate, negotiate and defend cases. He now utilizes that knowledge to his client’s advantage on a daily basis in dealing with the defense insurance companies and the attorneys they hire to represent their insureds. Daniel current devotes 100% of his career to representing the interests of those individuals who have been harmed as result of the negligence of individuals and corporations. He is an extremely experienced trial attorney who has successfully tried cases in Courthouses throughout the State. He currently resides in Monmouth County New Jersey with his wife and children.